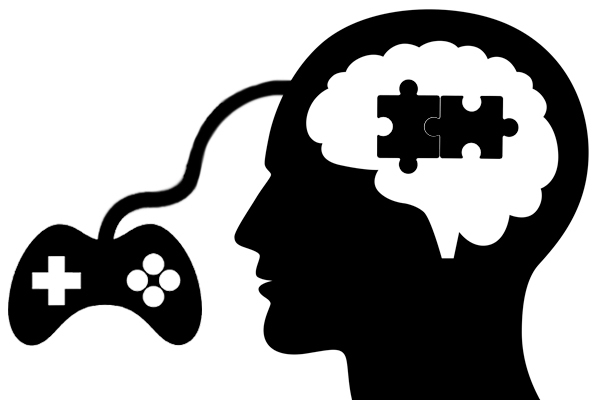 What effects do puzzle video games have on the brain? Science is proving step by step that playing video games can be good for you. Check out how puzzle video games can improve your brain. Video games have been demonized for many years but researchers have finally proved that they have many advantages and can even be healthy for our brains. The brain scientist and cognitive researcher Daphne Bavelier states that “the effect of video games on the brain is very similar to the effect of wine on the health: there are some very poor use of wine, there are some very poor use of video games. But, when consumed in reasonable doses and at the right age, wine can be very good for health. Video games are the same and they have a number of ingredients that are very powerful for brain plasticity, learning, attention or vision”. Puzzle video games in particular have been shown to have benefits in different areas concerning the brain and its health and development. According to a German study conducted in 2013 at the Max Planck Institute for Human Development and the Charité University of Medicine St. Hedwig-Krankenhaus, video gaming increases “the brain regions responsible for spatial orientation, memory formation and strategic planning as well as fine motor skills”. But the benefits of video games on the brain can also be positive and “relevant in therapeutic interventions targeting psychiatric disorders”, says the study. Simone Kühn, who leads this study and is a senior scientist at the Center for Lifespan Psychology at the Max Planck Institute, explains that “the present study can demonstrate the direct causal link between video gaming and a volumetric brain increase. This proves that specific brain regions can be trained by means of video games”. According to this discovery video games could be therapeutically useful for patients with mental disorders in which brain regions are altered or reduced in size, like schizophrenia, post-traumatic stress disorder (PTSD) or neurodegenerative diseases such as Alzheimer’s dementia. Scientists of the Oxford University have actually proved, thanks to an experiment, that the well-known video game Tetris reduces the post-traumatic stress. Forty volunteers were shown disturbing images and half an hour later twenty of them started playing this puzzle game while the rest didn’t do anything. The study showed that the volunteers who had played Tetris suffered less flashback episodes than the others. The flashback phenomenon –which is an involuntary memory of the images- is one of the characteristics of the PTSD. Doctor Emily Holmes, one of the authors of the study, explained that the puzzle video game probably had interfered in the way that memories are created in the brain, and this might be helpful to understand how the brain works and creates these flashbacks. Although, she clarified that this doesn’t mean that people suffering from post-traumatic stress should play Tetris as a solution. 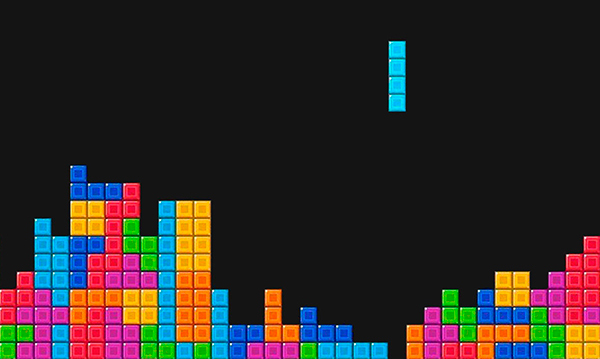 Meawhile, the creator of this famous puzzle game, Alexey Pajitnov, revealed that he didn’t know the secret of its success but suspected that as Tetris creates the illusion of building something it gives people satisfaction. In Spain, a psychiatrist named Alexandre García Caballero invented a video game to help patients that suffer schizophrenia. Second Chance tries to solve social cognition problems that people affected with schizophrenia or other mental diseases have to confront every day. The game consists in making decisions for the video game character’s first day at work that will decide his success and help the patient recognize the different emotions. Some puzzle video games, such as Nintendo’s brain training games for adults Dr. Kawashima’s Brain Training: How old is your brain?, aim to improve mental agility and slow the onset of dementia and Alzheimer’s disease. In 2013 scientists at the UC San Francisco saw potential in video games to fight brain aging and designed a video game to improve cognitive control. The game, which consists in driving a car while ignoring a variety of signs popping up until one in particular appears, was played by 60- to 85-year-old adults who improved their performance in only one month surpassing young adults of 20-something years-old who played for the first time. NeuroRacer improved the working memory and the sustained attention of the participants and according to the University’s associate Professor of Neurology, Physiology and Psychiatry Adam Gazzaley, this study is a “powerful example of how plastic the older brain is”. Do puzzle video games make you more intelligent? Experts have been studying for many years how video games affect us and they have come to the conclusion that playing video games might mold our brains. They help modulate the brain and by modulating it, video games can improve the learning skills. According to a study achieved in 2012 by two Spanish Psychology Professors, in which they analyzed the puzzle-adventure video game Professor Layton for Nintendo DS, this type of video games can even modify the brain’s morphology and increase the volume of grey matter. In conclusion, they increase the intelligence. Roberto Colom and María Ángeles Quiroga teach Psychology in two different Universities in Madrid; the Autonomous University and the Complutense University. They used the Professor Layton video game to observe how the human brain changed while playing; they worked with volunteers that knew the functioning of a Nintendo DS but had never played to this game. After a month of playing (not more than 16 hours) the scientists noticed that the brain had gotten stronger and had leaded to the neuroplasticity. “Video games can strengthen the learning process”, concluded Colom after the study that also proved how important brain training is. The gamification expert Gabe Zichermann explains that “the act of learning is what increases the grey matter, not the performance at the activity”, and by solving problems brought up by puzzle video games you learn how to find answers no matter how your performance was. Videogames promote the process of discovering the world that surrounds us: “we discover the world through games, every animal does”, concludes María Ángeles Quiroga. Another study by the University of Michigan proved that kids that play video games are more creative when it comes to writing and drawing. As a matter of fact, puzzle video games improve verbal comprehension, visual and spatial processing, visual perception, topographic orientation, planning and reasoning. Quiroga compared training the brain with physical exercise: “it’s like going to the gym and doing some physical activity; if you train for a month your body will be ready for - for example- a race. Your brain works the same way. If you play for a month to a game that challenges you and whose solutions aren’t obvious your brain will be more prepared to find the right answers”. Neurons consume more energy when our minds are blank. When you are relaxed or distracted your brain is thinking at full speed and is full of information, and that is when the information is handled more efficiently by the brain. It links the past information with the future one, and it remembers and plans according the accumulated experiences. This process is known as neuroplasticity which is fundamental to our ability to learn new skills, keep hold of old ones, and form new memories; that is why training our brains is as important as physical exercise to keep our bodies and minds healthy. It is well known that activities such as crosswords, Sudokus or puzzles are the classic games chosen to train our brains. They are entertaining and help our brains to liberate endorphins which are the source of our well-being: endorphins reduce pain and produce euphoria. 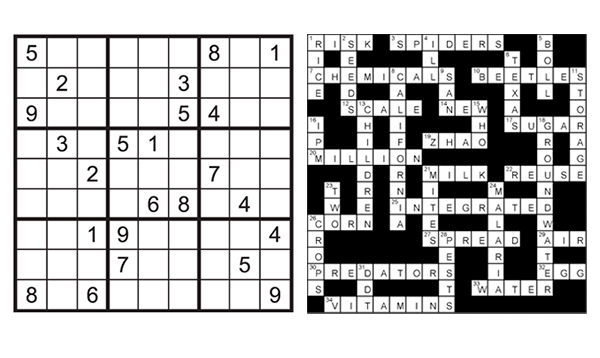 This kind of puzzles and games prevent the risk of cognitive deterioration because when someone does a Sudoku for example, he is using strategy reasoning, memory, attention and logic. Combining these advantages with the benefits of video games means exposing your brain to an intense and healthy workout. In conclusion, video games have quite an impact in our brains, and puzzle video games in particular activate the neuroplasticity of our brains, increase the grey matter and wake up the thirst for knowledge and learning. So try Spritted’s Serpent Marbles, challenge your concentration and visual skills, and become a little more intelligent!